Hello! If you’re in Costa Rica like me, then you probably noticed that today is a holiday, and that basically all businesses are closed. That’s because it’s Good Friday. 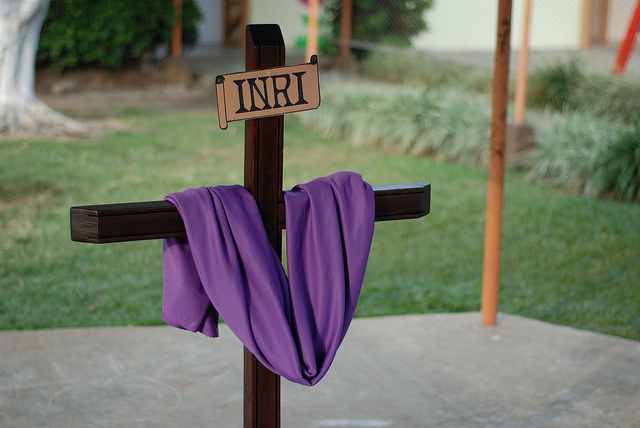 In Spanish, at least in Costa Rica, they call it viernes santo, and it’s part of semana santa. Today and Sunday are both holidays and holy days (if you want to learn more about the difference between holiday, holy day, and vacation, check out this post). In English people don’t usually refer to this week as “holy week,” unless if you’re talking about the week’s religious significance. You can check out this post that I wrote a few years back explaining how to talk about the week, and here’s another post expanding that idea a bit more. You could probably refer to this week as “Easter week” or “Easter break,” since here many people have a break from work and school. As I mentioned, today is called “Good Friday,” even though it’s not that “good” since it commemorates the day that Jesus was crucified. Sunday, the day that commemorates his resurrection, is called Easter or Easter Sunday in English. Many people in English-speaking countries go to church on Sunday, and some even wake up early to go to a sunrise service. That’s the religious side of the holiday. For the secular (non-religious) side, many people have Easter baskets and Easter egg hunts. 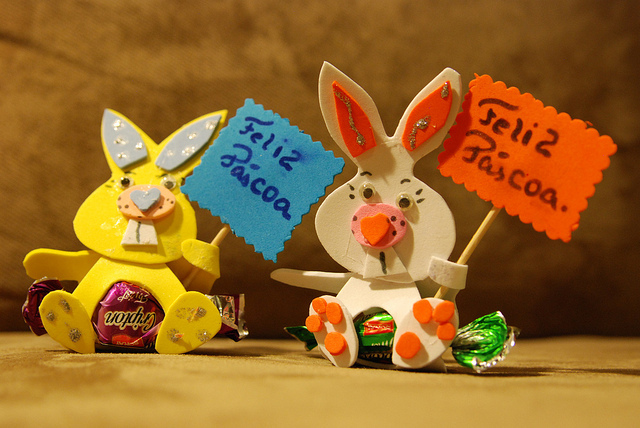 If a family has little kids, the parents often say that the Easter Bunny came in the night and left candies and chocolates for the kid in his or her basket, and sometimes the kids have to search for the baskets. Many also hunt for Easter eggs that are hidden in the yard (if there’s nice weather) or inside (if it’s cold or snowy). For some families, the eggs are real eggs, but hard-boiled and colored. Other families use plastic eggs and they put coins or candies inside the hidden eggs. What about you? I know that in Costa Rica many people travel and go to the beach during this week or at least the weekend–what have you been doing, or what will you do? Will you celebrate Good Friday or Easter? If so, please feel free to leave a comment. I’d love to hear from you! Thanks for reading, and have a Happy Easter!